Embossed Trim-Eclipse - 1pc - This carefully crafted and detailed dollhouse miniature building material measures 1:12th scale and will help you complete finishing projects on your dollhouse. 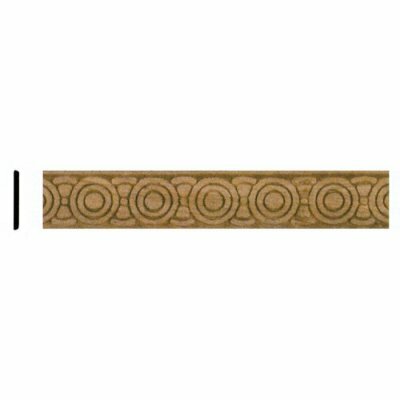 This trim is 11/16" wide by 24" long by 1/8" thick and 1 wooden piece is included. This Embossed Trim: Eclipse is supplied by Aztec Miniatures, which generally ships within 8 business day(s) of you placing your order .